Next on this alignment – for which the starting and ending point is Amsterdam Island, a tiny island in the South Indian Ocean – we come to the Inner Mongolia Autonomous Region of China. 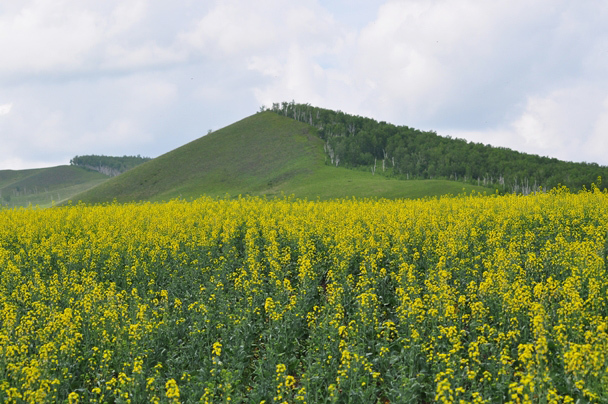 It lies along most of the length of China’s border with Mongolia, and a small section of China’s border with Russia. To start out with, one of the recurring features of this part of the world gets attributed to what is called “The Slab Grave Culture,” which is called a nomadic, Eurasian, Scythian-Siberian civilization. What I see here is evidence of the ancient megalithic civilization, with the cut-and-shaped stones in the foreground, and the stone circle seen in the background. Let’s see what else we find here. …and here is another one, where you clearly see the abrupt rise in elevation from a relatively flat surface. …and the Big Bend of the Rio Grande in South Texas. 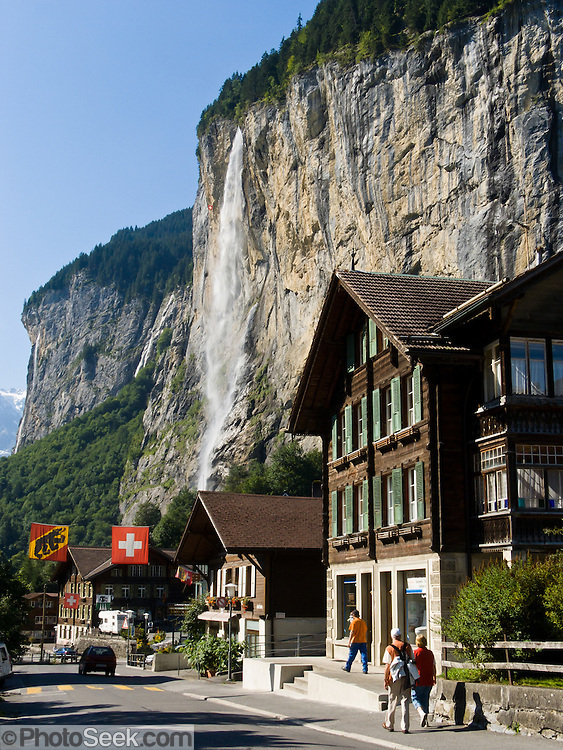 …with this location in the Lauterbrunnen Valley of Switzerland at the Staubbach Falls. These places are not historically associated with each other, and yet look very similar! 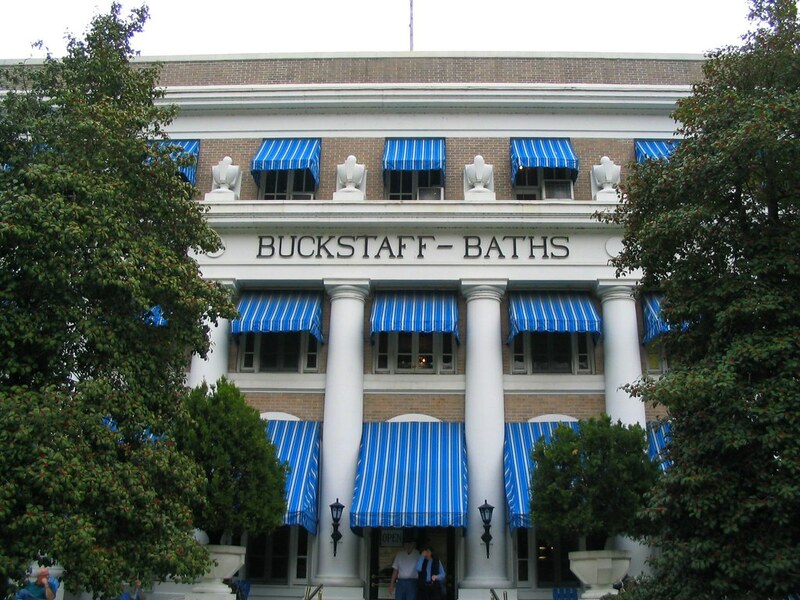 …and the huge columns of the Buckstaff Bath House in Hot Springs. I think there might be something else going on here that we don’t know about. 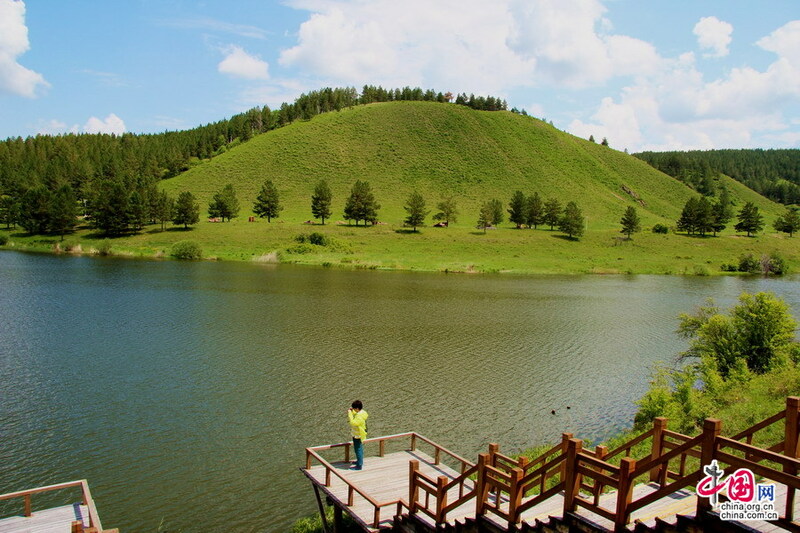 Next we come to the city of Tongliao in Inner Mongolia. Tongliao is a railway hub, which connects Inner Mongolia directly with Beijing and northeast China. It was the administrative center of the defunct Jirem League. The six original Leagues of Inner Mongolia were ancient administrative units, and they became equal to prefectures in other parts of China when it became the Inner Mongolia Autonomous Region in 1947. They included different tribes and banners. Interesting to note that one of the Leagues shown here, just to the right of the center of the image, is named Juuuda (like Judah?)…. several rivers in this region which the alignment crosses over. 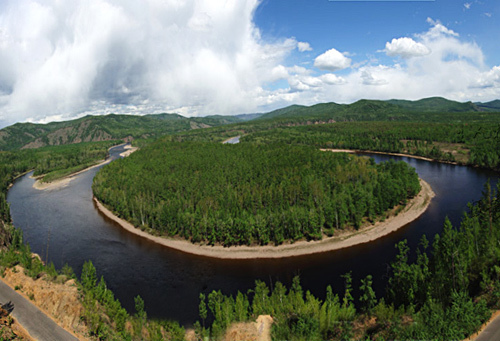 It flows in Inner Mongolia and the Liaoning Province in Northeastern China. It is one of the headwaters of the Liao River. A search for images only yielded one picture of interest for the Xiliao River. I will use this as an opportunity to say that I find turbines like this all along gridlines. These are in Okarche, near where I lived in Oklahoma. They are not randomly placed as one might think. They all run at the same speed regardless of whether or not the wind is blowing. I suspect they are harvesting a hidden energy source, and not the wind as we are told. These, and the ones that fill the horizon along Interstate 40 across Texas as well, line up along grid-lines and near energy hubs. See my blog post on “The Relationship Between the Planetary Grid, the Technology of the Ancient Civilization, and the Modern Energy System” for a more in-depth look at this subject. Next on the alignment is Changchun, the capital and largest city of China’s Jilin Province. …and at Lake Arcadia, in Edmond, Oklahoma just outside of Oklahoma City. Changchun was the seat of government for the Japanese puppet state of Manchukuo between 1932 and 1945, who were occupying northeast China. This is the Manchukuo State Department building, with its heavy masonry and tall columns. …and at Lake Chapala near Colima, Mexico. Next on the alignment we come to Jilin City, considered one of the oldest cities in northeast China. Jilin City is situated near the Songhua River, in a hilly area. Four famous mountains surround it. I can find images associated with two of the four. One is Beishan, or North, Mountain, Park, in the west, home to several Buddhist temples, where the picture of this bridge was taken. Compare it in appearance with the style of old bridge found over Standing Stone Creek, in the State of Pennsylvania, for one of many examples. … looks similar to this one in Verona, Italy. Another is Long Tan Mountain, to the East. Interesting looking place, isn’t it? Together with the other two – Zuqhue Mountain and Turtle Mountain – these four mountains form a Bagua, which is a Taoist symbol used to represent the fundamental principles of reality. …and I will end this post in Jilin with this photo of what is called a tomb of the Koguryo Kingdom, which flourished in China and North Korea, before we head to Chongjin, North Korea in the next post. This is designated as a Koguryo Tomb in Jilin, China. Looks like a step pyramid to me…. …like the famous step pyramid of Djoser at Saqqara in Egypt pictured here. In this post, we are crossing the Tien Shan Mountains of Central Asia in to mainland China. I am tracking an alignment of cities and places forming a big circle which starts and ends at Amsterdam Island in the South Indian Ocean. Next on the alignment is Urumqi, the capital and largest city of China’s Uighur Autonomous Region in the Xinjiang Region. It was a major hub on one spur route of the ancient Silk Roads, the world’s most significant trade routes that linked East and West for thousands of years, and is a location on a modern project linking the ancient trade routes. As I mentioned in the last post, we are in the historical region of the Ancient Uighur Empire. I read several of James Churchward’s books about what he discovered about Mu (also known as Lemuria) several years before I came into awareness of what I am sharing with you in this blog. He describes the vast Uighur Empire as wealthy, advanced and powerful. This is a picture of one of his maps. …and culturally they are more aligned with the other countries of Central Asia than China. Ancient ruins are all around Urumqi. 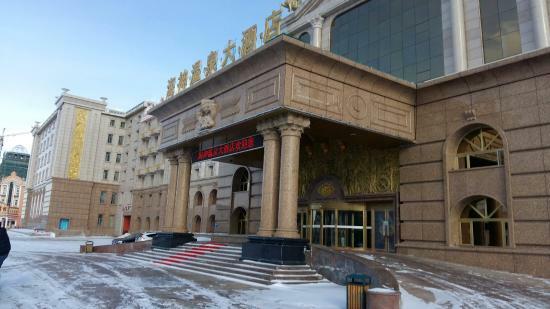 In particular I want to focus on some noteworthy sites found between Urumqi and Turpan, connected by a modern rail-line. The ruins of the Jiaohe Ancient City are found near Urumqi. These are considered what’s left of the world’s oldest, largest, and best-preserved city of raw earth buildings. It is interesting to note that the northern part of the site was reserved for Buddhist Temples and Stupas. This is said to be a Buddhist Stupa at the Jiaohe site. Nearby, we find the Karez water system in Bidar in the Turpan Basin. It is made up of a horizontal system of vertically-dug wells, linked to water canals that collect run-off from the nearby mountains. The canals channel water to the surface, taking advantage of gravity through a downward slope. The system has underground canals, dams and wells, and is said to date back to 500 years ago. A centuries-old tunnel cut out of solid rock is nothing out-of-the ordinary, right? …this mummy is found there. Mummy???!!! Aren’t we only taught about mummies strictly being an Egyptian thing? Well, they are here too! …located in the Flaming Mountains of China. I will just leave this picture here of the Grand Canyon in Northern Arizona for comparison. The Emin Minaret is here, said to have been built in 1777 in honor of the heroic general from Turpan, Emin Khoja. It is the largest existing old tower in Xinjiang. Compare similarity with the Islam Khoja Complex in Khiva Uzbekistan, said to have been built in the early 1900s (hmmm), and named after Islam Khoja, Prime Minister of Isfandiar Khan. Not an exact architectural match, but the shape of the tower is similar, as well as the arch of the entryway. There is a distance of 2,375 miles, or 3,822 kilometers between the two places. And, what about that shared name? So, as in previous posts, we find Buddhism here, as well as Islam. To be clear, I believe all of this is connected to the advanced ancient worldwide civilization, and not separate as we have been taught to believe. I see Islam in its original form being about Sacred Geometry and Natural Law, and very much a part of this original ancient civilization. 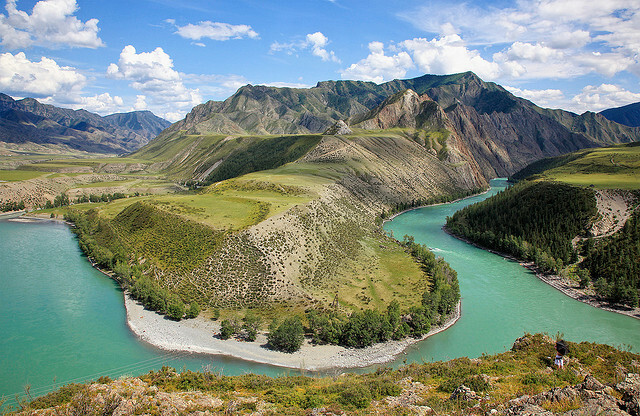 Next we come to the Altai Mountains, a mountain range in Central and East Asia where Russia, China, Mongolia, and Kazakhstan come together. …and Lake Teletskoye in the Altai Mountains in the Altai Republic of Russia. Notice the connecting Heaven with Earth effect displayed in some of the pictures here? Intentional or not, it is there and beautiful! …and the Altai Argali, the largest wild mountain sheep in the world, with the largest horns. Unfortunately for them, this magnificent feature makes them the crown jewel of sheep hunters’ trophy rooms. Next on the alignment, we come to the Gobi Desert in Mongolia, covering parts of northern and northwestern China, and southern Mongolia. It runs 500 miles (800 kilometers) north to south, and is 1,000 miles (1600 kilometers) southwest to northeast. It was part of the Great Mongol Empire that we are taught about in our history books, said to have formed when Mongol tribes were unified under Genghis Khan in 1206. I am believing at this time this is not True History, but let us see what else we find on the alignment. This is a National Hero after all! No disrespect intended, but some things just don’t add up…. …joins in a line with Lop Nur in the Uighur Autonomous Region of Xinjiang, a former salt lake that is mostly dried up, and was a site of the Chinese Nuclear Weapons Test Base, with four nuclear testing zones at Lop Nur, starting in 1959 – with H-Bomb detonation in 1967 – until 1996, with 45 nuclear tests conducted. Before I leave this region, I would like to include mentioning that the Gobi Desert extends from the foot of the Pamir Mountains. They are mostly in Tajikistan, and are at the junction of the Himalayas with the Tien Shan, Karakorum, Kunlun, Hindu Kush, Suleman, and Hindu Raj Mountain Ranges. The Pamir Mountains are among the highest in the world, and since Victorian times have been known as the “Roof of the World.” Please note what looks like masonry in the left foreground of this photograph taken in the Pamirs. …and Madrid Station in Spain. Here is a restored Tibetan Buddhist Monastery in Sainshand, called Khamar. Originally said to be founded in 1820 as a Red Hat Lineage (Nyimgma) Center of Buddhist Monasticism, Culture and Education in Mongolia, because of the spiritual energy fostered by the Gobi Desert, and it grew to have 80 temples and 5,000 monks. It was destroyed in 1937 as part of Stalinist purges in Mongolia, and was restored after 1990 Democratic Revolution in Mongolia…. …compared with this picture of the Boudhanath Stupa in Kathmandu, Nepal prior to the 2015 earthquake. It has since been renovated, but this is a very holy site for Tibeten Buddhism. Explain it in whatever way resonates with you, there is a 1,810 mile, or 2912 kilometer distance, between these two places. And, from what I understand, Boudhanath is associated with the Red Hat Lineage as well, since Dilgo Khyentse Rinpoche, head of the red hat lineage from 1987 to 1991, founded a Nyingma lineage monastery in Kathmandu at Shechen Monastery in 1980. I will stop here, and in the next post, pick up the alignment in the Inner Mongolia Autonomous Region of China. I thought I was going to be starting this post in Dushanbe, Tajikistan. I am not. I am being drawn through my initial research to start at Quorgonteppa, in Southern Tajikistan, which is located between Mazar-e-Sharif in Afghanistan, the place where I ended my last post, and Dushanbe. Quorgonteppa, also known as Kurganteppa and now officially called Bokhtar, is the capital of the Khatlon Region. There are some ancient sites here, including the so-called Childukhtaron Mountains. And for comparison of similarity in appearance, in previous posts, I showed you this photo of Agattu Island in the Near Islands, at the far western end of the Aleutian Island chain, near Siberia in the Bering Sea. And this photo is from present-day Minab, the historical location of Hormuz City, and located near the port city of Bandar-e-Abbas, at the Strait of Hormuz in Southern Iran. I can find plenty of other examples from around the world, but these are good examples of what I believe is ancient infrastructure of intentional design. Cover-up code words like sedimentary rock, karst, red rocks, and so forth, are used to lead us to believe places like these are natural features. In this Khatlon Region of Tajikistan, there is what appears to be a very old Buddhist Monastery at Ajina-Teppa. There is a large artifact excavated here that I will be showing you that is now in a museum in the next city on the alignment. There is a canal system in the city of Quorgonteppa. …and here in Port Grimaud in the French Riviera. There is plenty of physical evidence that the ancient advanced civilization built canals all over the world. This information has been removed from the historical record, so we just assume they were built during the times we are taught they were. This is all very sophisticated engineering! Moving along the alignment, Dushanbe is next, and is the capital and largest city of the country of Tajikistan in Central Asia. The history books tell us it was a small village in western Tajikistan up until the early 1900s, and that today it is the seat of government of Tajikistan. So here is the monumental Presidential Palace, also called the Palace of Nations. Right next to it is the world’s tallest flagpole! …and the artifact found at the Ajina-Teppa Buddhist Monastery that I mentioned earlier is here, which is this Sleeping Buddha. …and the Wako Department Store in the Ginzu Shopping District of Tokyo. … that looks very similar in appearance to the walls in the foreground surrounding Old Dubai in the United Arab Emirates. … as well as places like the elaborate waterworks in Dushanbe shown here. Next on the alignment we come to Andijan, also spelled Andizhan, in Uzbekistan. Andijan is located on the southeastern edge of the Fergana Valley near Uzbekistan’s border with Kyrgyzstan. Andijan is one of the oldest cities in the Fergana Valley, and was an important city on the Silk Road. Interestingly, it is believed to have been referred to long ago by Arab geographers as “Hindijaan,” believed to mean the city of Hindus or Hindu temples. …and this is Bobur, ruler of this part of the world in his day, military leader, and considered the founder of the Moghul Empire in India in 1526. I looked, and indeed there is a canal system here. This is the Great Fergana Canal. It is said to have been built in 1939, taking only 45 days to complete with conscripted unskilled labor and a high number of fatalities. Just relaying my findings. I have my doubts about the veracity of the information as to who built it. This building is in Andijan…. …compared with the old Miami Herald Building, which no longer exists as it was demolished in 2015. This is the fate of a lot of these old buildings, and this one was noted to have been built to be nearly indestructible. …and this building is in Madrid, Spain, the only place where the Moors are given credit for ruling for 700 years, ending in 1492. …compared with these historic buildings in Barcelona, Spain. The alignment goes through Lake Issyk-Kul in Kyrgyzstan. This lake is in the Northern Tian Shan mountains, and is the 10th largest lake in the world by volume. It is the second largest saline lake after the Caspian Sea. It is considered to be a sacred place by the Kyrgyz people. …and here is a comparison of similar looking features at Boynton Canyon in Sedona, Arizona. In both places, you can make out shapes in the rocks that look like ancient temples. We cross over the Tien Shan Mountains, which straddle the border between Kyrgyzstan, Khazakstan, and China. This is a good place to insert the information that we are in the historical region of the Ancient Uighur Empire. 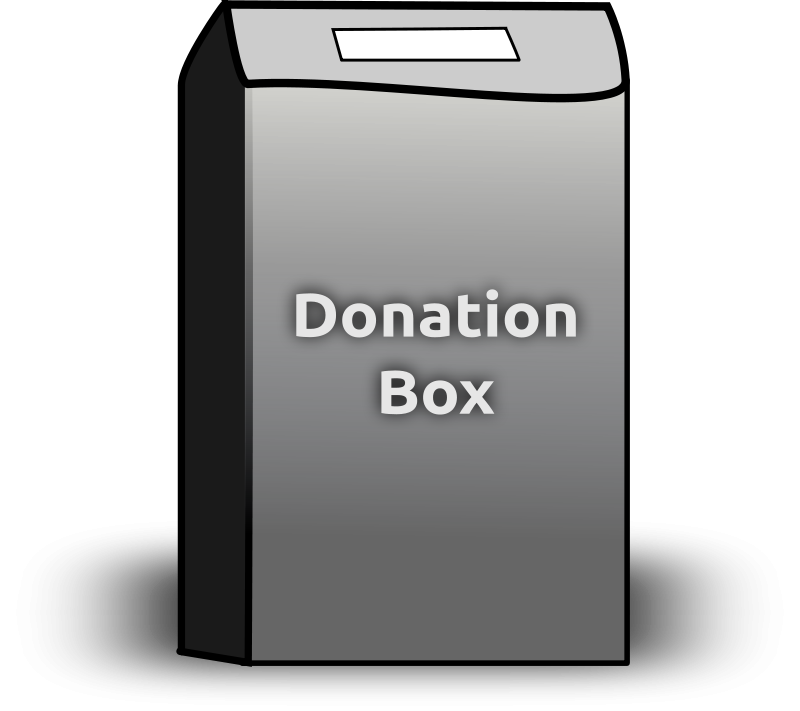 I read several of James Churchward’s books about what he discovered about Mu several years before I came into awareness of what I am sharing with you in this blog. He describes the vast Uighur Empire as wealthy, advanced and powerful. This is a picture of one of his maps. We are approaching the heart of it when we cross the Tien Shan Mountains, entering into the modern-day Uighur Autonomous Region of China. Here is a map depicting the existence of a Uighur Turkic Empire in this part of the world that is said to have existed for almost one hundred years. When I first started cracking the code of how the ancient advanced civilization was covered up, I realized that the word canyon is a code word, and that national, state and local parks are places where remnants of this civilization are preserved instead of being destroyed, neglected, or incorporated like what happens in unprotected places. So, in the Tien Shan Mountains in Kazakhstan, I was able to find the Aksu Canyon in the Sayram-Ugam National Park, and the Charyn Canyon in the Altyn Emel National Park. We think of this as being natural because we simply have not been given any other explanation for its existence. This was a civilization of Master Builders and Master Masons that has been removed from our collective memory. And the last place I would like to look at before ending this post is Charyn Canyon in Kazakhstan’s Altyn Emel National Park. I have come to believe that there is enduring infrastructure underneath sand dunes. I am going to end this post here, and pick up the alignment in the city of Urumqi in the Uighur Autonomous Region of China in the next post. In the last post, we took a close look at some of the interesting islands of the Strait of Hormuz – specifically, the islands of Abu Musa, Qeshm, and Hormuz. In this post, I am picking up the alignment in Bandar-e-Abbas, Iran and following it to the city of Mazar-e-Sharif in Afghanistan. I am following an alignment that originates from, and ends on, Amsterdam Island, one of the French Subantarctic Islands. In this series, I am sharing what I found, by connecting the cities and places that form a circle. Amsterdam Island is a tiny dot in the South Indian Ocean. Bandar-e-Abbas is a port city, and the capital of Hormozgan Province. It is modern Iran’s most important port, with 75% of Iran’s sea-trade passing through here. It’s previous name, with different pronounciations and spellings in different languages, was Gombroon. The most important port in Ancient Iran was the nearby Hormuz City. In 1497, five years after the new false historical timeline was superimposed onto the original positive timeline in 1492 (for what I am talking about, see my post “An Explanation for What Happened to the Positive Timeline of Humanity & Associated Historical Events & Anomalies”), Europeans landed in the region for the first time, in the form of the Portuguese explorer Vasco de Gama. Nine years later, in 1508, the European invasion began, with the Portuguese sending seven warships to protect their interests there. This is an etching showing what Hormuz City looked like in 1522. Old Hormuz, or Ormus, was located where the city of Minab is today. I remember reading somewhere that there is occult or esoteric significance to the name of Ormus, but it is not the scope of this post to delve into it. It is yet another point of information in the piecing together of this puzzle that has many missing pieces. Here are some photos of ancient infrastructure in and around Minab. Contrary to what we have been taught by historical omission, these are not natural features. My blog is filled with examples of why I say this, however, I would recommend reading my post “Natural Features…or Intelligently Designed Ancient Infrastructure?” – my dedicated post for why I say this. Hormozgan Province, of which Bandar-e-Abbas is a part, has 13 major cities, and 13 counties. The people of this region are called Bandari. This province is also known as Iran’s Black South. The flavor of the traditional ceremonies and music in this part of Iran is considered African, but the people are called descendants of African slaves and merchants. I would like to point out the other explanation, which is that these people are indigenous to this land. There are a lot of really big secrets out there that have not been told to Humanity. I think this is the biggest because everything happening in our world today is related to this Truth being withheld and distorted. There is a Hindu Temple in Bandar-e-Abbas, that was said to have been built in 1892. Notice anything unusual in this picture? At the very least, the dome of this building, and perhaps more, has monolithic characteristics – that is, it looks like it was carved from a single block of stone. I see cracks in the foreground, but not sections. Even if it is made from another building material, how did they do it, according to the history we have been taught? What technology did they have to accomplish that in 1892? There is so much we haven’t been told about the True History of the planet, including how Hinduism, and Buddhism for that matter, connects back into the Advanced Ancient Civilization, and that all of this is not mutually exclusive as we have been taught to believe. More on this later in the post. Moving along the circle alignment from Bandar-e-Abbas, we find the city of Kerman, the capital of Iran’s Kerman Province. It is one of Iran’s oldest cities. This is the Arg-e-bam Castle, or Bam Citadel, in Kerman Province. It is called the largest adobe building in the world, and is a UNESCO World Heritage site believed to go back to the 6th-century BC. An earthquake in 2003 destroyed much of it. Compare it in style to the Grand Mosque of Djenne, in Mali, also an example of adobe architecture. …which just happens to look a lot like Mesa Verde in Colorado. This is Itchan Kala, the inner walled town of Khiva in Uzbekistan. It has been a World Heritage Site since 1990. …and this view of what would be considered more modern constructions in the city of Santa Cruz de Tenerife in the Canary Islands. …and Fort Jefferson on Dry Tortuga State Park, west of Key West, Florida, and not accessible by land. I think these so-called civil war era forts in the United States were re-purposed from their original uses. In other words, they were pre-existing buildings that were converted for military use. Next in Kerman is the Hammam-e-Ganjali, an historic bathhouse said to have been built in 1631. It is now a museum. Note the monolithic stone columns, and the stylized vaulting in the roof design. Same idea with the Hammam-e-Vakil, a bath in the same complex, that has been converted into a teahouse. Leaving Kerman, next on the alignment we come to the Lakes of Hamun (Helmand), which is on the border of Iran and Afghanistan. Hamun is a group of reservoirs. In my post “On Chimney Rocks and Man-Made Lakes” I give a detailed opinion on what that is all about – creating reservoirs is how ancient infrastructure is covered up. In Iran, Lake Hamun is a UNESCO-protected biopshere reserve. Mount Khajen is described as a flat-topped basalt mountain (like it’s natural) that turns into a seasonal island during the rainy season in the middle of Lake Hamun in Iran. Rostam Castle is located on Mount Khajen, the ruins of a citadel complex. It is an important archeological site. This area was also part of a southern branch of the Great Silk Road, part of a ancient network of trade routes that connected East and West. Within the remains of the complex, there is a Zoroastrian fire temple. Not only that, in legend Lake Hamun is considered to be the “Keeper of Zoroaster’s seed.” This means Zoroastrians believe that when the final renovation of the world is near, maidens will enter the lake, and give birth to the Saoshyans, the saviors of mankind. Next on the alignment we come to Farah in Afghanistan. It is part of the sparsely populated Farah Province, which is mostly comprised of rural tribal groups. This region is heavily affected by the on-going hot conflicts in Afghanistan. I will be focusing mostly on past history, not present, for the purposes of this blog post. This is the Citadel at Farah, said to have been built as part of a network of fortresses by Alexander the Great when the history books tell us he took possession of the land in 330 B.C. To be clear, I am not saying that I believe this is when it was actually built. The city of Farah is believed to be over 3,000 years old, and one of the ancient places of the Persian Kings. This is called the Farah Mubarak – Mahdavia on the outskirts of Farah City. It is a major pilgrimage site for Muslims. The population of Farah province is predominantly Pashtun, also known as Pathan. The Pashtun are a tribal nation of millions of Afghani and Pakistani Muslims who have a strong oral tradition that they are descendants of lost Tribes of Israel, and they refer to themselves as Bani Israel. Here is an example of a Pashtun textile piece. Farah also belongs culturally and historically to Sistan Province in Iran, and the Greater Khorasan, which is a region lying in the northeast part of the historical Persian Empire. Next on the alignment is Mazar-e-Sharif, Afghanistan. It is the third largest city in Afghanistan, and the capital of the Balkh Province. This region is also part of the Greater Khorasan of the historical Persian Empire. The city has been spared the devastation of war that has occurred in other parts of Afghanistan, and is considered one of the safest cities in the country. This is the Blue Mosque in the center of the city. The Blue Mosque is also notable for the white pigeons that congregate in its courtyard…. This is the Citadel in the ancient city of Balkh. Balkh was a center of Zoroastrianism in northern Afghanistan. It is a short distance northwest of Mazar-e-Sharif. It was known as Bactra, the capital of ancient Bactria. Our history books convey to us that Alexander the Great captured the city in 330 BC, and the hordes of Genghis Khan completely destroyed it in 1220 AD. Hmmmm. Something about this particular place attracts major attention! There is a strong history of Buddhism in this part of the world as well. In Balkh, there are stupas over the remains of the first lay disciples of the Buddha – Trapusa and Bahalika. The city is said to have derived its name from Bahalika. This Buddhist stupa near Balkh sits on top of the Takht-e-Rustam, the throne of the hero of the world. I am going to end this post in the Bamiyan Valley of Afghanistan, which is not directly on this alignment – it is south of Mazar-e-Sharif in Central Afghanistan, not far from Kabul, the country’s capital. There were two colossal statues of Buddha there, carved into the sandstone there. Both statues were destroyed by the Taliban in 2001. I firmly believe there would be no mysteries in history if we had been taught the true history, about an ancient advanced civilization that was all about Harmony, Balance, Beauty, Sacred Geometry and Unity with each other and the Universe, and connecting with One’s Higher Self. This is a poignant example of how dark forces are hell-bent on physically destroying this civilization, and its memory and legacy. Actually, they have been hell-bent on destroying all civilization, but this particular one was the fullest expression of human potential that there ever was on earth. I will pick up the alignment in Dushanbe, Tajikistan in my next post. The Strait of Hormuz is the only sea passage from the Persian Gulf to the open Ocean. It is situated between the Gulf of Persia and the Gulf of Oman. About 20% of the world’s petroleum passes through here, and it is considered one of the world’s most strategically important choke points. This is a tense area, to say the least…. In my journey of awareness regarding this information, I have learned what to look for. And I have found that islands on the planetary gridlines are extremely interesting. I will share with you what I found out about the Islands of the Strait of Hormuz, specifically the islands of Abu Musa, Qeshm, and Hormuz. These islands are windows to a hidden history. The island of Abu Musa is contested between the United Arab Emirates and Iran. It is administered by Iran as part of the Hormozgan Province. It is the furthest Island from the Iranian coast, and is strategically important as it sits near the entrance to the Strait of Hormuz. I want to demonstrate to you that beaches with a symmetric curvature, and rocky features right next to the shore, as seen in this photo of Abu Musa, are common features in diverse places. …and Shemya in the Near Island group of the Aleutian Island chain. …and Deadman’s Reef on Bahama Beach, located at West End on the Grand Bahama Island. The island of Qeshm (formerly known as Kishm, or Kish) in the strait of Hormuz is the largest island in Iran, and one of the largest islands in the world. An important trading center at one time, it is situated just a short distance off the coast of Iran. Qeshm, like the Hawaiian Island of Molokai, looks like the shape of a fish to me. …as well as pods of dolphins that swim close by. The dolphins of Qeshm. Interestingly, in Cassell’s Bible, Qeshm was mentioned as a supposed site of the Garden of Eden. Hmmm. Let’s take a look at what is found on the island. It is called the Island of Seven Wonders, which include the Valley of the Stars, or Stars Valley, called one of the most amazing natural sites in the world. Like everywhere else, I see ancient masonry here. …reminds me of Bryce Canyon in Utah. …and Red Rock State Park in California. …and the area is a protected biosphere reserve for its ecosystem, with many tidal channels. The Talla Wells are capable of holding water healthy and cool for a long time. The locals say in the past, the number of these cisterns equalled the number of days in the year, and every day, one of the wells was used for water. The Talla Wells reminded me of the Plain of Jars in Laos. The Plain of Jars is a mystery, with thousands of huge jars cut from stone filling the landscape. Some of the stone jars are gigantic! And then there are the ancient Puquio Wells of Nazca in Peru. This is a system of subterranean aqueducts, and most are still functioning. …reminds me of the Emerald Pool in Guadelupe Canyon in Baja California, Mexico. One more thing I would like to point out before I leave the beautiful island of Qeshm, which is in a free zone, so a visa is not required to visit. This photo is of Harbor Laaft on Qeshm. These buildings most definitely have Moorish architectural features. To support what I am saying, here is a picture of acknowledged Moorish architecture in Cordoba, Spain. In particular, take note of the crenellation -the recurring pattern on the top of the building – in both pictures. Also, there are five-lobed arches present in both pictures, as well as arches with no entrances or windows. It’s even called the five-lobed Moorish arch. More on this architectural style shortly. Next, I wish to introduce you to Hormuz Island…the Rainbow Island of Iran. The red color you see here in the road is red ochre, which has been used for ceremonial and artistic purposes throughout human history. This is said to be the old Portuguese fort on Hormuz Island. Supposedly built after the Portuguese Duke Alfonso de Albuquerque captured the island in 1507, and became part of the greater Portuguese Empire. The Portuguese held on to the Island of Hormuz until 1622, at which time the British East India Company allied with the Persians, and successfully re-captured Hormuz. Both the Dutch East India Company and the British East India Company were integral components in how the advanced ancient civilization was taken down. This is a portrait of William Baffin, an English explorer who died of wounds sustained during the Capture of Hormuz. Baffin Bay and Baffin Island are named after him. …and the vaulted arches of the Seville Cathedral. Seville was the capital of Moorish Spain. Compared with this example of what is called “Spanish Gothic” architecture at Bryn Mawr College in PA that was torn down 8 years ago, with its vaulted ceiling, and five-lobed Moorish arches. Demolition in modern times is the fate of many of these structures with heavy and enduring masonry. Sadly, only to be replaced by buildings that are considerably inferior. Like, I am watching a multiple-story apartment complex go up in the neighborhood where I work, framed with wood and particle board. This style of vaulted arch is seen at Ft. Pulaski in Savannah, Georgia. They want us to believe all of these architectural similarities were occurring during times across countries and continents during centuries when, according to what we are taught in history class, transportation was limited and communication was regional. I have found that falsely attributing structures as to their builders is a common practice in the cover-up of this ancient civilization. Another example of this is the “Old Russian Fort” on Kauai, which looks like an ancient star fort to me. One more thing before I leave the island of Hormuz. There is a place called Deer’s Moor here, on a tiny island off the coast of Iran. I will end this post here. This is a long circle alignment. I have been crossing further geographical distances in other posts than I have here, however, I believe what I found in this geographical location was noteworthy enough to focus this post exclusively on it. As always, there is more here than what I have shared, but this serves as an introduction to an obscure, but fascinating, place. I will pick up the alignment in the next post in Bandar-e-Abbes, Iran. The Gulf of Aden, also known as the Gulf of Berbera (also the name of a port city in Somalia, and where my last post ended), is bounded on the North by Yemen, the Arabian Sea and Guardafui Channel in the east, and Somalia in the South. On one side, the Bab-el-Mandeb Strait, located between southwestern Yemen and and northeastern Djibouti, connects the Gulf of Aden to the Red Sea. This strait is of great strategic and economic importance. For one thing, millions of barrels of crude oil are shipped through it every day. The country of Djibouti is located near a tectonic triple junction of three tectonic plates. There are also two rift zones in Djibouti. Volcanism is a recurring feature along planetary alignments. Lake Abbe is a Salt Lake on Djibouti’s border with Ethiopia. It is located at the confluence where the three tectonic plates are pulling away. I have also found many salt lakes on planetary alignments (see my post “Salt Lakes on the Grid”). On the other side of the Gulf of Aden is the Guardafui Channel. It is between the Socotra Archipelago and Cape Guardafui, the tip of the Horn of Africa (which is another name for this region). The Socotra Archipelago is officially part of Yemen, with Socotra being the largest island. I first learned about Socotra several years ago when I watched a travel video about it that popped up as a Youtube recommendation for me. I looked more into it at the time. Otherwise I would never have heard of it before. It is a UNESCO World Heritage Center, and is considered of universal importance because of its rich and distinct flora and fauna, most of which are found no where else. It has also been called the most alien place on earth. There are more anomalous things about the Gulf of Aden, but I will just leave you with this picture, if you wish to research its validity for yourself. Just saying this is out there. Personally, it wouldn’t surprise me if this is truth. There is so much we haven’t been told about the world we live in, and that is actively kept from our awareness. Next, we come to Mukalla, Yemen, a port city on the Gulf of Aden. Mukalla is the capital of Yemen’s Hadhramaut Governate. It is close to an ancient location, called Hadhrami, that served as the principal trading post between Africa and India. Hadhrami is also the name of the people that live in the Hadhramaut Governate, and are also in diaspora, living in scattered places around the world. The Hadhrami have in their culture a tradition of sea-faring and trading. At one time their presence and influence throughout in the Horn of Africa region was significant. Here is a historic photo of some Hadhrami men. …compared with the big block-shaped rocks seen at Lake Chapala near Colima, Mexico. This is a photograph of the massive canyon at Wadi Leysar in the Hadhramaut Province of Yemen. And this is Courthouse Butte in Sedona, Arizona. The best our historical narrative can come up with is that these are natural features. I definitely do not buy that explanation. I think “butte” and “canyon” are cover-up code-words for very ancient infrastructure. Lastly before moving on, I will share this photo I found of what is called one of the oldest houses in Mukalla. Interesting place to build a house…. Next the alignment crosses the Rub Al Khali, otherwise known as the Empty Quarter. It is the largest desert in the world. It encompasses most of the southern third of the Arabian peninsula. A recent Saudi Arabian Minister of Petroleum and Mineral Resources, Ali Al-Naimi, reported that the dunes don’t drift – that while sand blows off the surfaces, their essential shape remains intact. Something tells me there is enduring infrastructure underneath all that sand…. Next, we come to Abu Dhabi, one of the seven Emirates that comprise the United Arab Emirates (UAE). Its capital, Abu Dhabi, is also the capital of the UAE. This is the Sheikh Zayed Grand Mosque in Abu Dhabi, and its elegant and sophisticated design features. The date for construction is given as 1996. I am comparing it with the Taj Mahal in Agra, India because they have the same style of domes. Yet the Taj Mahal was built in the mid-1600s as a mausoleum, according to the historical narrative we have been given. The sophistication and striking similarities of these two monumental works of architecture raise some real questions in my mind about how they were built – both then and now. The next location the alignment crosses is Dubai, another Emirate, and the largest city of the United Arab Emirates. You can tell just by looking at a map of the city that this is a unique place in the world. Dubai is one of the world’s “Global Cities,” which means it is a city which is a primary node in the global economic network, with a focus on financial power, and high technology infrastructure. This is the Dubai Museum. It is said to be the oldest existing building in Dubai, and built in 1787. 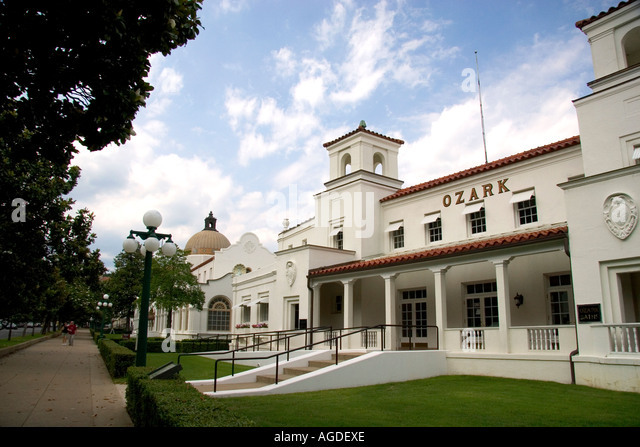 The architectural style is reminiscent of buildings I have seen in African countries. Shown here first is the Great Mosque of Djenne in Mali. Djenne is said to be the oldest known city in sub-Saharan Africa. And this is the Fasilides Palace in Gondar, Ethiopia. It was built by the Solomonic Ethiopian Emperor Fasilides in the 1600s, and subsequently became the home of Ethiopia’s Emperors. This is an aerial view of Dubai’s Old Town, the Bur Dubai. Here are more photos of the architecture and canal system of Old Town Dubai. I will end this post here, and in the next post will pick up the alignment as it goes across the Strait of Hormuz into Iran.